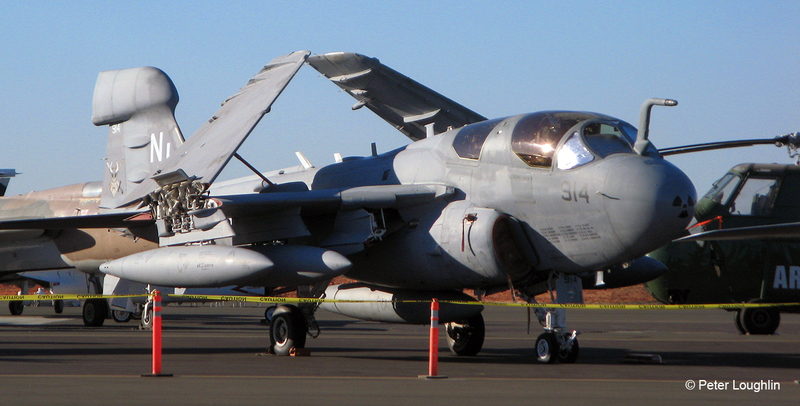 The EA-6B Prowler flew to PCAM under its own power on December 7, 2013. A large crowd showed up to welcome it. The pilot did a couple of touch-and-go passes, one of which yielded this incredible photo by member Jim Cook. EA-6B Prowler #158811, taxiing under its own power past the historic curved-roof Butler Hangar. Broadside view of the plane's right side. Wings are folded. The Prowler has just arrived on December 7, 2013. Engines are still running and the ground crew, who had traveled to the airport in advance, help prepare the aircraft for shutdown. Soon the engines will spin to a stop for the last time. 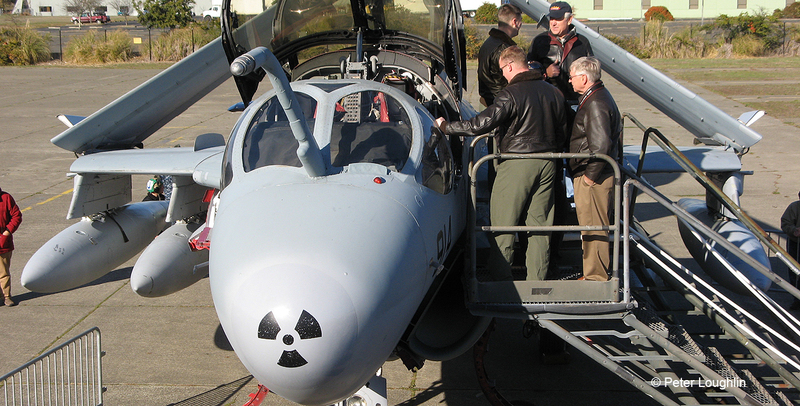 After its arrival on December 7, 2013, the Prowler was opened up for visitors to look inside. 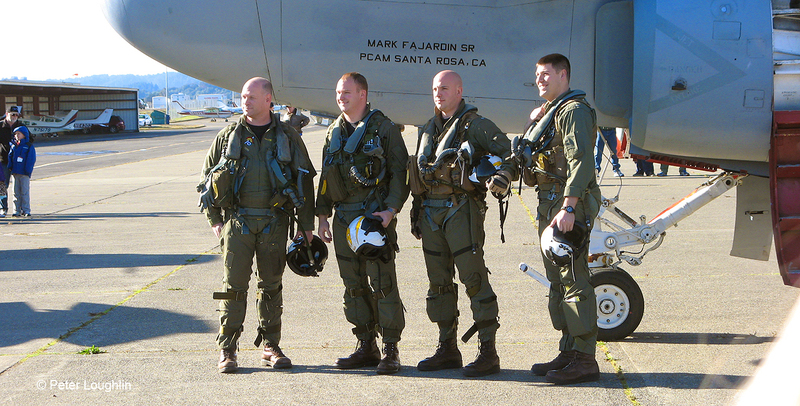 The four-man aircrew of EA-6B Prowler #158811 standing by the nose of the plane after its final flight. The engines have just been shut down for good. The aircraft had reached the end of its useful life, and it was to be either scrapped or donated to a museum. PCAM is honored to have received it. On the ramp at the Wings Over Wine Country Air Show. Prowlers served the US Navy and Marines since May 1968, jamming enemy radars and communications, identifying and targeting threats, and destroying enemy installations with HARM missiles. 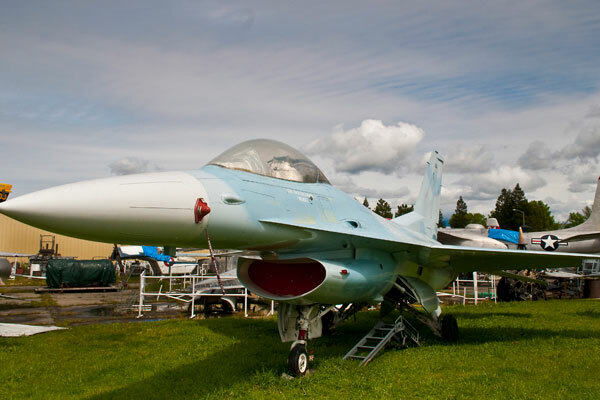 They have recently been replaced by EF-18 Growlers. 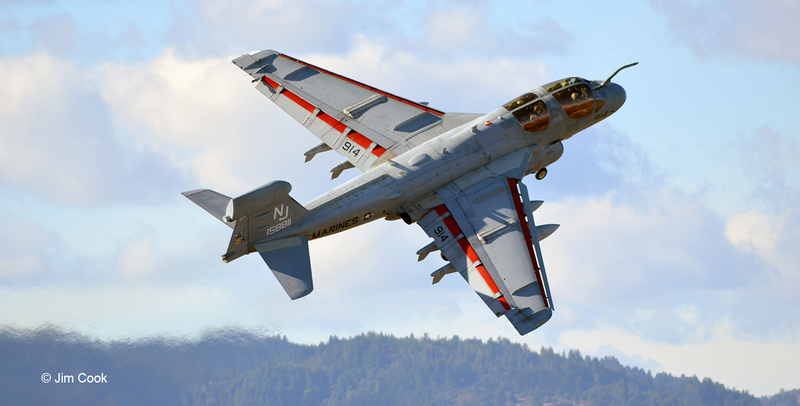 The EA-6B Prowler was developed from the very capable A-6 Intruder carrier-based light bomber. The side-by-side seating arrangement proved very efficient in an electronics countermeasures aircraft. 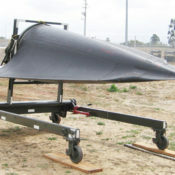 It's a subsonic plane, capable of speeds up to 659 miles per hour. 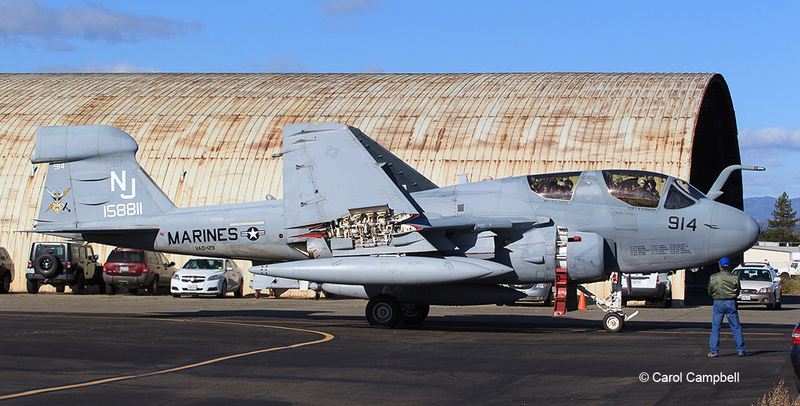 EA-6B Prowler #158811 during her active service life, at Naval Air Facility Atsugi, Japan. Prowler #158811 during her service with the Navy, taxiing on an unidentified airbase. During WWII Electronic Warfare had been a fairly simple matter of jamming the relatively unsophisticated radar transmitters then in use. An operator just located the hostile radar’s frequency on a radio tuner and turned a crude noise jammer onto the same frequency. In the Korean War radar guided anti-aircraft (AAA) and early warning (EW) radars were introduced, and the U.S. began to feel an increasing necessity to include electronic countermeasures (ECM) equipment on its tactical aircraft. 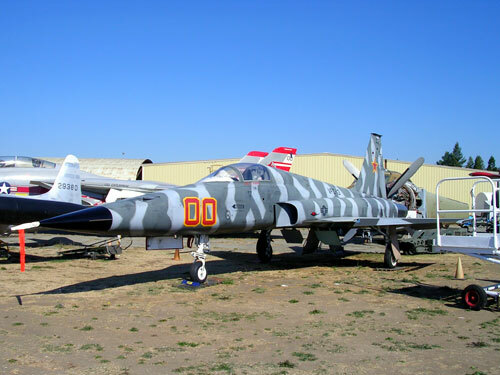 Throughout the Korean War the U.S. developed new ECM systems and tactics to counter these new threats, but on July 24, 1965 the Vietnam War would see a technological leap forward in electronic warfare with the introduction of the Russian built SA-2 Surface to Air Missile claiming its first kill of a US Air Force F-4C Phantom II. By 1966 Vietnam had become a fully electronic battlefield and the U.S. found itself seriously lacking in early warning and ECM capabilities. 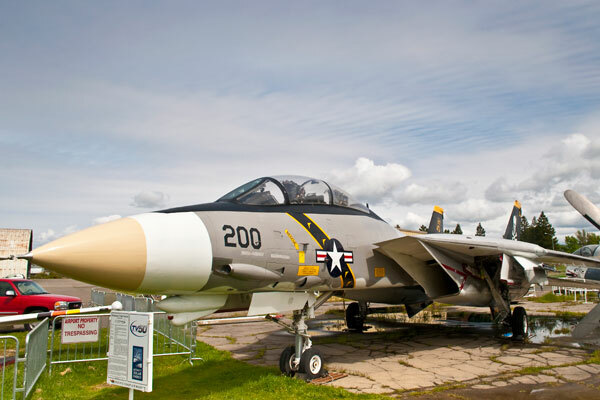 In 1957 Grumman began development of the A-6A Intruder attack aircraft for the U.S. Navy and Marine Corps. By 1962 an electronic warfare version called the EA-6A “Electric” Intruder began to take shape at the request of the Marine Corps and the type entered service in Vietnam during October of 1966. The EA-6A proved to be a remarkably capable aircraft, but the rapidly evolving world of electronic warfare demanded more powerful and sophisticated systems to counter and defeat future threats. As the EA-6A was entering combat in 1966 its replacement was already taking shape as the EA-6B Prowler. 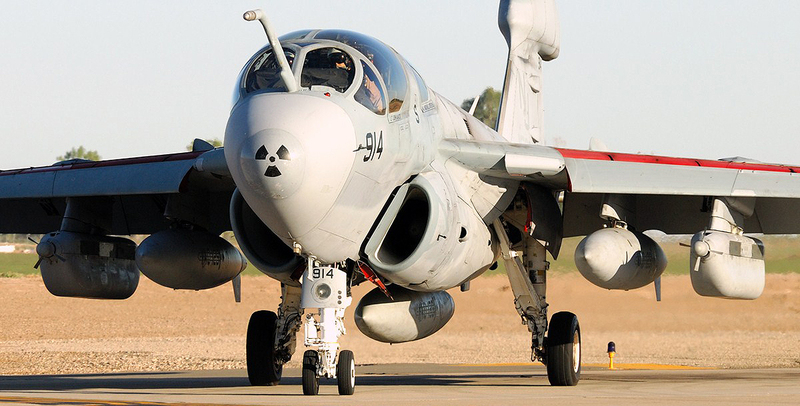 The first Prowler prototype was built from the 15th A-6A Intruder and flew on May 25, 1968. The Prowler entered service with the US Navy in July of 1973 and was an immediate success in the electronic warfare arena. The Prowler has been continually updated through the years to its current version of ICAP III featuring the ALQ-99 Tactical Jamming System and the ability to attack surface to air missile & radar sites utilizing the High Speed Anti Radiation Missile (HARM). 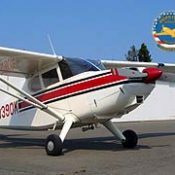 From 1995 to 2009 the Prowler was the only ECM aircraft in the U.S. inventory and has been classified by the U.S. Government as a “national asset”. 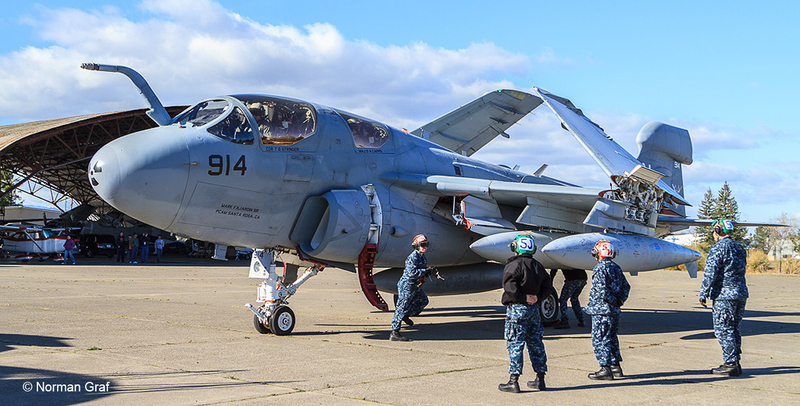 The Boeing EA-18G Growler will replace all Prowlers in the Navy by April 2015, and the Marine Corp will continue to fly the EA-6B Prowler until 2019. 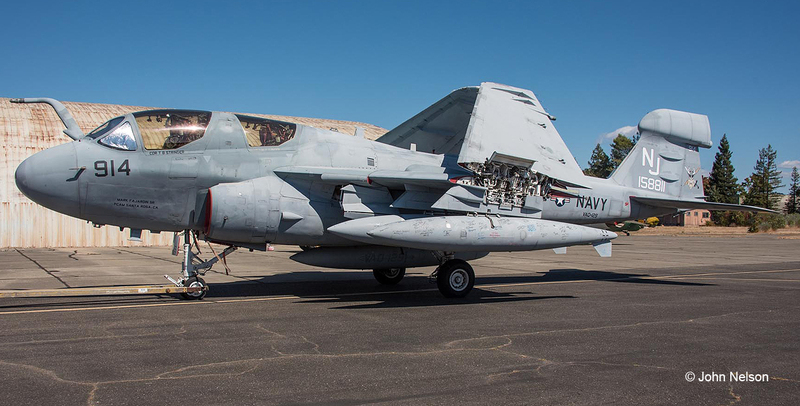 The Pacific Coast Air Museum’s EA-6B Prowler 158811 was production line number P-41and accepted by the Navy on January 26, 1974 as an EXCAP model. Assigned to VAQ-137 the Rooks in February of 1974 she made her first cruise onboard the USS Enterprise were she participated in Operation Frequent Wind, the evacuation of Saigon at the end of the Vietnam War. In 1976 she deployed with VAQ-137 on board USS America providing ECM support during the civil war in Beirut Lebanon and on her second cruise in 1978 the squadron obtained the first emitter data and photos of the newest USSR Kiev Class Aircraft Carrier and Kara Class Cruiser. From April of 2000 to June 2008 Prowler 158811 was in constant combat or deployed oversees participating in Operation Northern Watch (Iraq), Operation Enduring Freedom (Afghanistan), Operation Southern Watch (Iraq), and Operation Iraqi Freedom. During these missions Prowler 158811’s squadrons fired 38 HARM missiles taking out radar & SAM sites to protect U.S. and coalition aircraft. 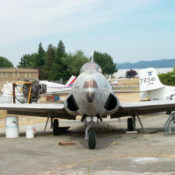 On December 7, 2013 Prowler 158811 made her final flight from NAS Whidbey Island Washington to the Pacific Coast Air Museum, and she was the first Prowler on the West Coast to be inducted into a public air museum. Our Director of Aircraft Acquisitions Mark Fajardin installed three GoPro cameras inside our Prowler to record this historic final flight. You can view two videos on You Tube by typing; EA-6B Prowler Flight to PCAM. Prowler 158811 completed 40 years of service with the following stats; Total Flight Hours 11,951 / Catapult Shots 2,283 / Arrested Landings 2,287 / Shipboard Touch & Go 194 / Shipboard Bolters 292 / Field Arrestments 39 / Carrier Practice Landings 6,180 / Field Landings 9,223 / Total Aircraft Landings 18,215. In the head-on photos above, you will see a "radiation" symbol painted on the nose. 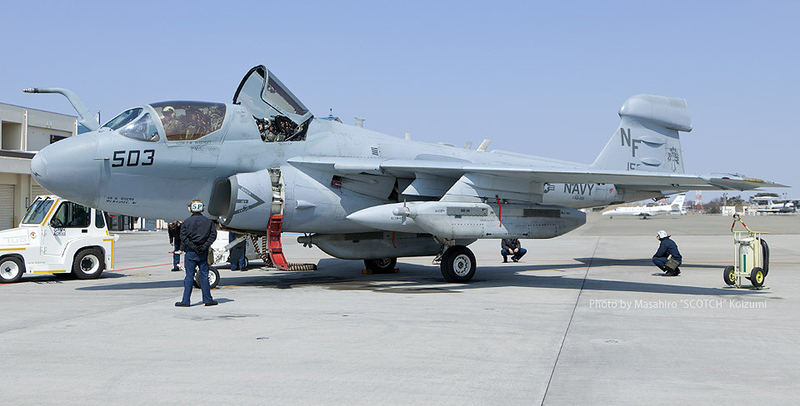 This is for the benefit of the aircraft carrier's Landing Signal Officer (LSO) and other deck crew, so they can tell at a glance that this is a Prowler and not an Intruder. From the front, the two planes look virtually identical, particularly in low visibility. However, the Prowler is a slightly larger aircraft and has different deck handling requirements, and this visual aid lets the crew know immediately which plane they have so they can prepare accordingly.